As you know that Microsoft Word is widely used to manage the data. User Also faces many corruption issues which can lead to the data lost from word document. The DOCX files are typically saved in the Microsoft Word 2007 & later edition. All previous version stores Word file as Doc format. This is the basic need to batch convert the doc to Docx file. It can’t be possible to open the .doc file in the newer versions of the Microsoft Word. Because it supports the .docx file documents. If you are in need to open your numerous .doc files as .docx file then, you have to move for the efficient third party application. The trouble free tool that able convert multiple DOC to DOCX document. Instant Solution: If You want quick fix solution, try Office Upgrade Software to convert your multiple DOC file into DOCX file format. Step1: Open Word 2013, you will see “Compatibility Mode” in the title bar. Also, you see that the document is in the .doc format. To change doc to docx, Click on File. Step2: Now, Click on Info then Convert. Step3: After that, this box gives you a warning that your document will be upgraded in the newest file format. Click OK if you want to transfer your doc data into data, otherwise cancel. Step4: Click Save to apply changes. At this moment, your doc file is converted into the docx file format. Step5: If you don’t want to use the convert option then, you can directly do this. 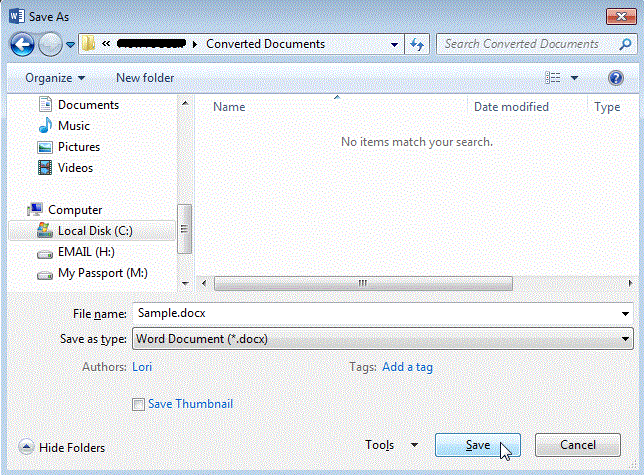 Note: If you want to open this docx file in the Word 2003 then it doesn’t open until you convert it into the .doc file. But, this method has some limitations. If you are in need to transfer the bulk of doc files into docx format then, its become too complex to import each file separately. So, in that case, you have to use application to quickly move your multiple Word (Doc) files into Docx. The best way is to opt for a trustworthy tool for upgrading. Office Upgrade tool is the reliable software to upgrade the Microsoft Office document files. It helps you to open numerous DOC files into DOCX format or vice versa. Just download free demo version of Office Upgrade tool prior to purchase. It’s free testing editions allows you to have a check the workability and interface. So that you can match up software capability according to your requirement and buy with confidence.